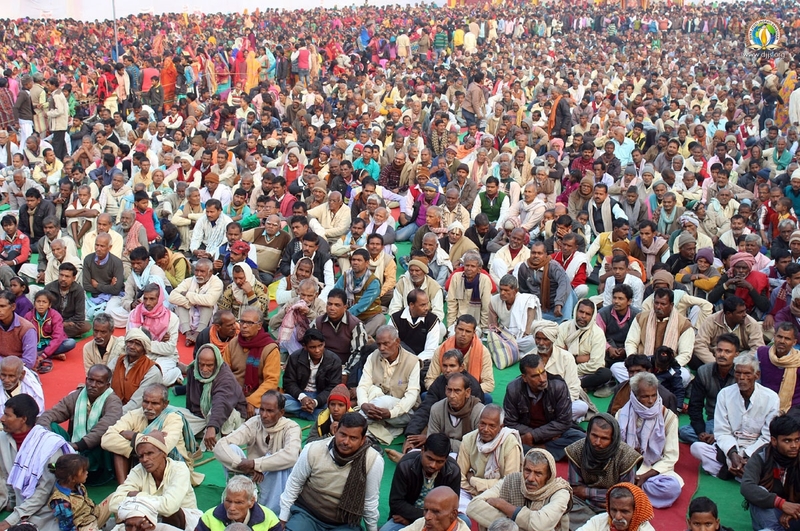 Imperial Shrimad Bhagwat Katha Gyan Yagya was organised by DJJS (Divya Jyoti Jagrati Sansthan), to guide the devotees of Madhepura, Bihar towards their ultimate goal and motivates them to pursue path of devotion. 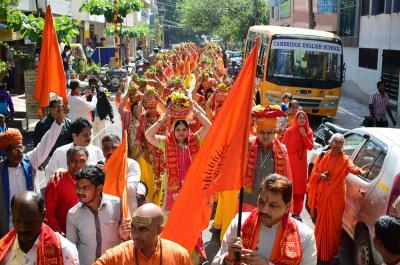 Mangal kalash yatra marked the beginning of the event where thousands of ladies participated and invited people to mega event. Katha began from 15th of December 2018 and continued till 23rd of December 2018, filling people’s heart with true love and devotion towards lord. Sadhvi Kalindi Bharti Ji, disciple of Shri Ashutosh Maharaj Ji (founder and convener of DJJS) profoundly orated the divine plays of Lord Vishnu. 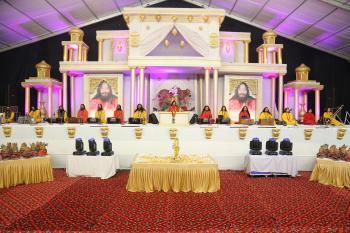 Selfless volunteers were singing lord’s glory which was like cherry on the cake and made devotees tap their feet. She took the example from life of Lord Buddha and proved that only goal of human life is to attain salvation and be free from the clutches of this world. She narrated the incidents when Siddharth comes across life’s reality and left home to find the way out. 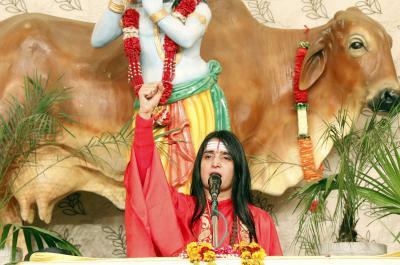 She said that Siddharth became Lord Buddha when he meditated upon the true name of god given by his guru ‘Sant Sujata’. She elaborated the concept by explaining that true name of lord is beyond language and can’t be spoken. His actual name is a cosmic primordial vibration that perfect master emanate during initiation. During meditation, one burns all his good and bad deeds and free self to be one with the almighty. She further explained that one should search for the perfect master and attain divine knowledge (Brahm Gyan) from him. She also proved through examples the multi-dimensional benefits of meditation. She went on and said that in today’s time, Shri Ashutosh Maharaj Ji is THE perfect master who is initiating people into Brahm Gyan. She informed attendees about the social initiatives of Sansthan and inspired them to provide their services for the betterment of society. 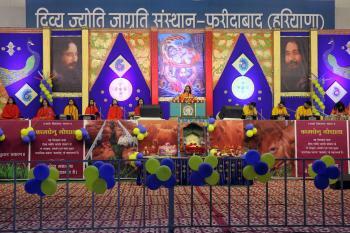 Katha was huge success as it was attended by thousands of people and many of them got initiated and joined the spiritual revolution started by DJJS. The event mesmerized one and all and people were indebted to the organization for creating awareness and working tirelessly to make them aware of the need to be one with Lord so that they can get benefitted by the perennial source of peace and prosperity in their lives.